SOAHC is the first winery in British Columbia to be biodynamic from its inception. Proprietor Jamie Fochuk, in developing the vineyard at Fruitvale (southeast of Trail), tapped the expertise of two French consultants: Philippe Armenier, a biodynamic farming consultant, and Alain Sutre, a Bordeaux winemaking consultant. The mineral spine in the winery’s debut releases, as well as the winemaking, reflects that expertise. Here is the profile of the winery from my recently published John Schreiner’s Okanagan Wine Tour Guide. Let’s clear up the name first: it is nothing more than “chaos” spelled backwards. Proprietor Jamie Fochuk explains that it is an allusion to the biodynamic viticultural practices in his vineyard. Born in Edmonton in 1973, Jamie grew up in a farming family. After a post high school stint on the ski hills at Lake Louise, he decided to get “a real job,” and moved to Ontario wine country (his father was living in St. Catherines). 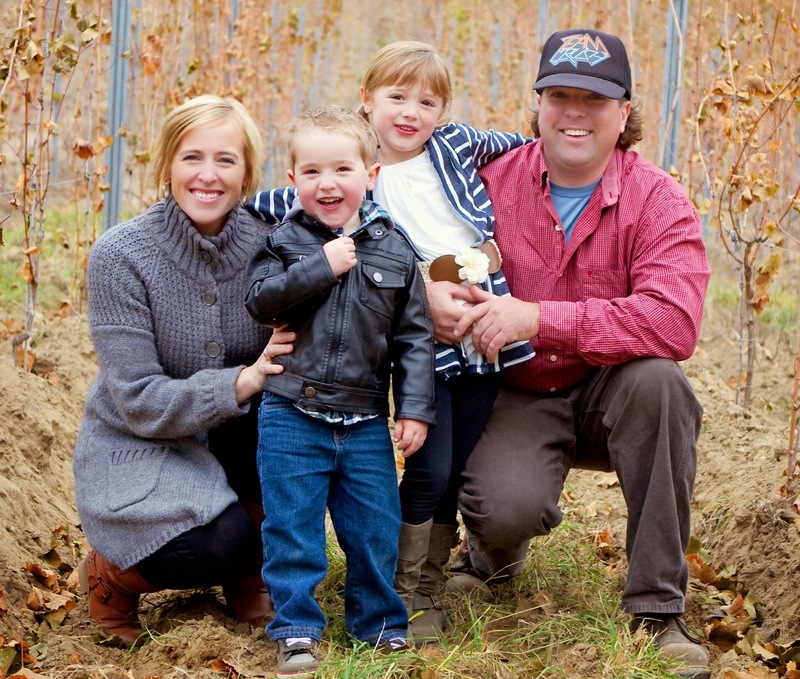 When a basic viticulture course at the University of Guelph revealed an aptitude for grape growing, Jamie found a job in 1996 with Klaus Reif, a leading Niagara vintner. Eventually, Jamie was torn between a desire to continue studies at Brock University, where he was doing well, or moving to the Okanagan. The practical-minded Klaus advised that “you will learn more behind a press than at school” and recommended him to Harry McWatters. Jamie immersed himself in viticulture at a succession of Okanagan wineries including Hawthorne Mountain Vineyards, Stag’s Hollow Winery and Black Hills Estate Winery. After clearing the trees and making biodynamic amendments to the soil, Jamie in 2010 planted Chardonnay and Riesling on the vineyard’s 2.7 hectare (6.7 acre) lower terrace. He followed that by planting Pinot Noir, Gamay and Siegerrebe on the 4.85 hectare (12 acre) middle terrace. A three hectare upper terrace remains to be planted. In his planting decisions, he has taken advice from Alain Sutre, the Bordeaux consultant who works with leading Okanagan wineries. With no farm building yet converted to a winery, Jamie began making his wines at the Synchromesh Winery in Okanagan Falls, producing about 30 cases in 2012 and 400 cases in 2013. When a winery opens here, Jamie says the tasting room likely will resemble the original Black Hills wine shop – a plank across two barrels. Here are notes on the two wines just released. SOAHC Riesling 2013 ($23.50). Here is a tingling Riesling with laser focussed acidity and 9.5% alcohol. The wine starts with aromas of lemon and herbs and delivers flavours of lime, green apples and herbs with a backbone of minerals. This wine really should be cellared for another two to three years to let the acidity settle down and to allow the nascent complexity emerge. 88. SOAHC Chardonnay 2013 ($26.50). This wine begins with good aromas of citrus and green apples subtly supported by French oak. On the palate, the wine has the brightness of Chablis, with flavours of grapefruit and apple wrapped around a spine of minerals. 89.